Surgeon at Arms continues the story of the much-admired surgeon, Graham Trevose, who first appeared in The Facemaker. As the Second World War breaks out and begins to yield its countless casualties, Trevose uses his skills as a plastic surgeon to rebuild burned faces and damaged limbs. For this, his grateful patients name him ‘The Wizard’ and he is hailed a hero. Yet Trevose’s rather unorthodox private life begins to make him enemies which prove as much a challenge as his work in the military hospitals. 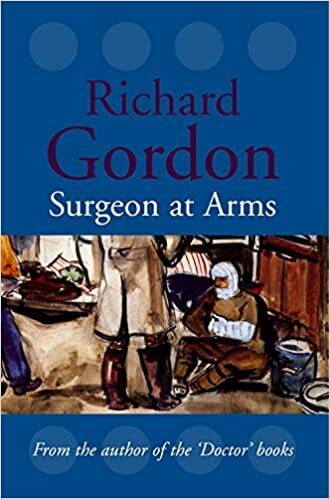 In the rise and fall of this bold, talented yet fallible surgeon, Richard Gordon presents the achievements and disappointments of the entire nation.